A copyright protects the owner of one kind of intellectual property (created by an individual but having no form or substance). Only certain kinds of works which fall within the U.S. Copyright Act can be copyrighted. The copyright process has become fairly simple with traditional works like books, plays, movies, and theater. But copyright is a little more difficult with the advent of the internet. For example, bloggers must be aware of what they write, to avoid copyright, trademark, and libel issues. And before you use an image from the internet you need to be sure to get a license or find public domain images. This article looks specifically at various social media sites and their copyright policies. 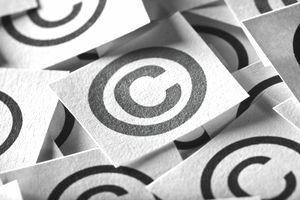 Social media, like Facebook, Twitter, and Pinterest, allow online posting of material that may be copyrighted. The social media site does not own the work that has been posted on their site; the copyright is still retained by the owner. But by agreeing to post works on the site, you sign an agreement that gives the site a license to use the work. In these cases, the license is given without payment. In other words, Twitter users grant Twitter a license to make Tweets available to other Twitter users. you grant us a non-exclusive, transferable, sub-licensable, royalty-free, worldwide license to use any IP content that you post on or in connection with Facebook (IP License).
. When you leave Facebook, all content is deleted (they use the analogy of a recycle bin). a non-exclusive, royalty-free, transferable, sublicensable, worldwide license to use, display, reproduce, re-pin, modify (e.g., re-format), re-arrange, and distribute your User Content on Pinterest for the purposes of operating and providing the Service(s) to you and to our other Users. In other words, Pinterest can use your content on its site because you have agreed to give them a license to use it as described in this agreement, without payment. The​ ​Pinterest copyright statement includes a link where you can file a complaint against someone you feel has violated your copyright. The best way to protect your intellectual property from being appropriated on social media is to not put it up there in the first place. Although you own the content you place on one of these social media sites, you have granted a license to the media site to use the content and for others to view it. To protect content, include a copyright statement on the file for photos. And be aware that your property might get appropriated by someone (not associated with the social media site). You must be vigilant to keep track of possible violations and be quick to file complaints. If you are not vigilant, you may not be able to support your claims in a lawsuit. What Is an Affiliate Agreement in the Business World?